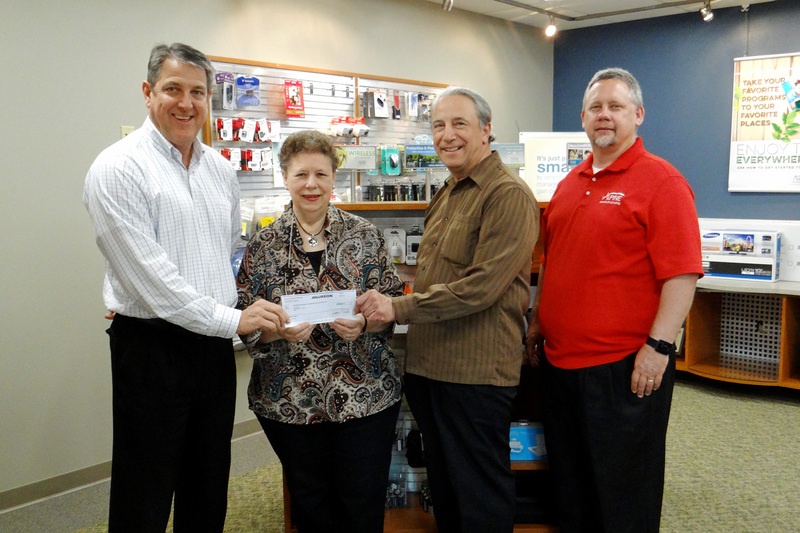 McGregor-Marquette Center for the Arts, Inc. Pictured: Kent Atha, Charlene and Richard Palucci, and Chris Hopp. 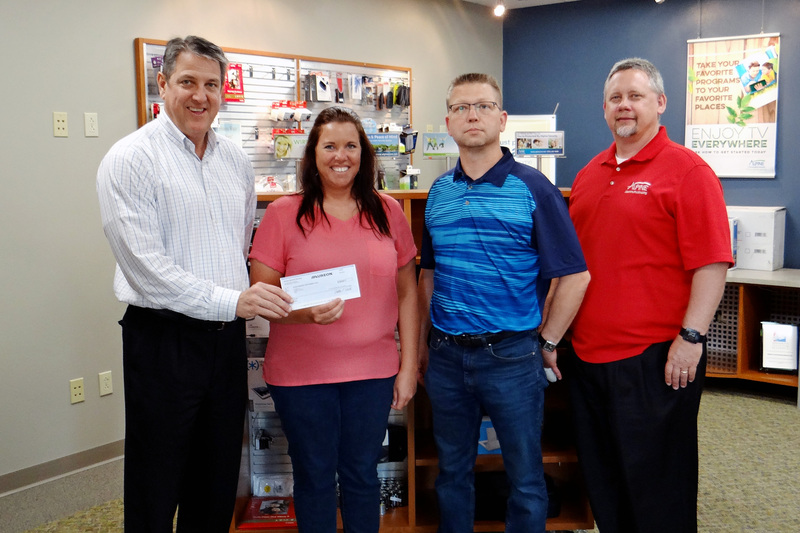 We are pleased to announce that Aureon Charity Grants have been awarded to three organizations within Alpine Communications’ service area. 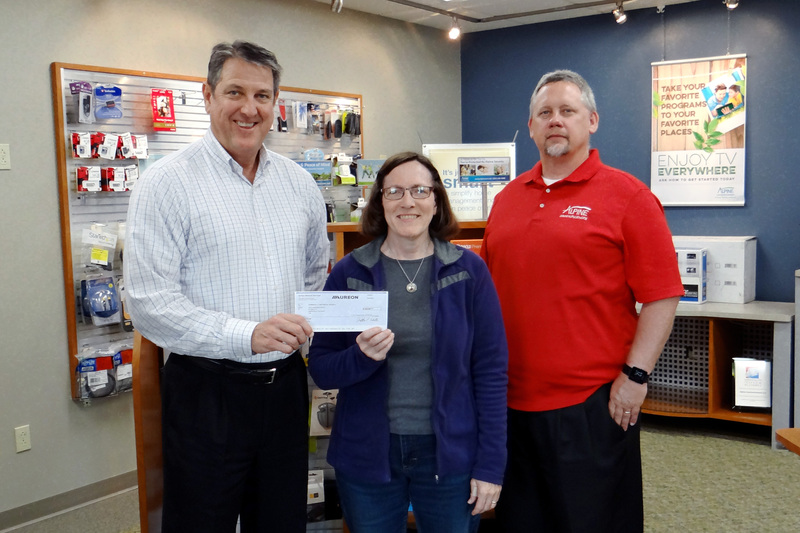 McGregor-Marquette Center for the Arts, Inc. received a grant for $300.00 to purchase new computer equipment. The Garnavillo Historical Society received a grant for $250.00 towards upgrading their museum facilities. The Elgin Community Betterment Club received a grant for $250.00 to help fund the Schori Park renovation project. Upon reviewing an abundance of applications, our Aureon Charity Grant Committee delegated funds to projects committed to the betterment of local Iowan communities. The grants were presented in conjunction with Alpine Communications who sponsored the grant application. Aureon, the new name for Iowa Network Services, created the grant program in 1993 to increase service and support to rural independent telecommunications companies and the communities they serve. The Aureon Charity Grant Program awards grants on a quarterly basis. Over the course of twelve years, Aureon has donated over $850,000 to local communities and their surrounding areas. We believe in rewarding various organizations for their passion and dedication to advancing their own neighborhoods. Each proposal that is chosen by our Grant Committee reflects the organization’s enthusiasm for serving their communities. Aureon looks forward to aiding future community-improvement projects and extends our best wishes to your own community development. Visit www.alpinecom.net/library/aureon-charity-grant/ to learn more about the Aureon Charity Grant Program application.